Another huge collection of classic and challenging crossword puzzles from Simon & Schuster, complete with tear-out perforated pages so you can take your puzzles to go! Prepare yourselves! Here are 225 big—and tough—crosswords taken from out-of-print books in the famous Simon & Schuster crossword puzzle series. Inside these covers are tons of Sunday Times-caliber wordplay just waiting to taunt and tantalize you. Originally edited by former New York Times crossword editor Eugene Maleska and his colleague John Samson, every puzzle in this book has been completely revised and updated. 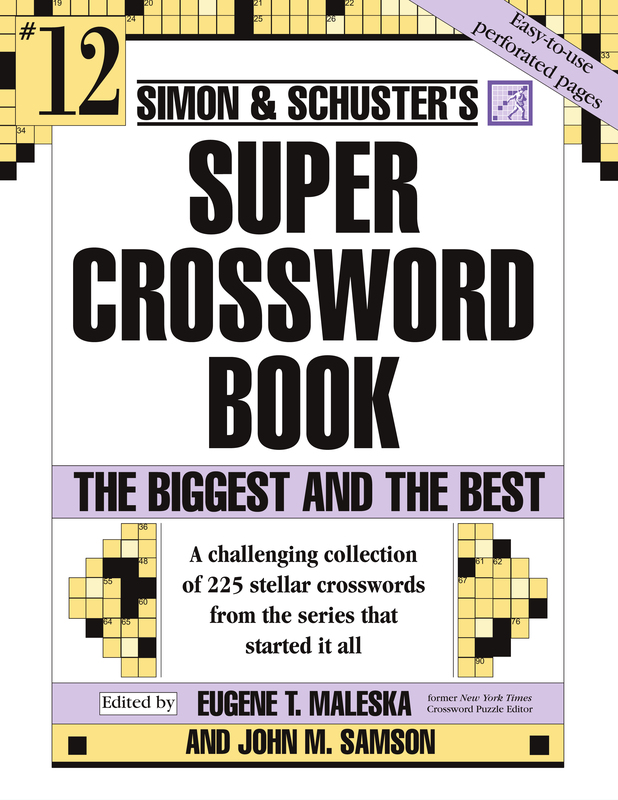 Super Crossword Book #12 is the ultimate challenge for the truly fearless crossword aficionado—so sharpen your pencils and wits and get ready for hours of delightfully frustrating fun.